It's been a really difficult month blogging for me. I think I've started at least three different posts, and then I had to stop. The more I read and research security policies, the more I see how much work there is to do--how much more I have to learn. It never ends. To stay within safety ratios and maintain the "two-person" rule, you have to keep recruiting volunteers. It's important to watch your facility to make certain it is remaining within code. It's important to keep up with any recalls of the toys and equipment in your nursery. We should be keeping up with the changing legal landscape. And when I begin to think through all of the worst-case scenarios, it's simply overwhelming. All of this weighs heavy, because protecting children is of first importance. Jesus said, "If anyone causes one of these little ones--those who believe in me--to stumble, it would be better for them to have a large millstone hung around their neck and to be drowned in the depths of the sea" (Matthew 18:6). Deepak Reju reminds us, "In addition to teaching children, Christians also have a fundamental responsibility to protect them. We learn this... from God, who throughout the Bible has a special burden for the young, weak, and oppressed in society." For church leaders (particularly those who have direct responsibility for children's and youth ministry), protecting kids must take pride of place in our list of priorities. It would be easy to agree with all I've typed here but be paralyzed by fear. I don't want to grow weary in doing good, but how in the world can I keep up with all of that? It seems like too much. I'm so thankful God goes with us into our daily work in children's ministry. I need the Holy Spirit's presence. In need him to strengthen me to keep working on these things. It's common to hear people say, "We never arrive." I've said it at times just to sound more humble than I actually am in the moment. But, with this stuff, it's just reality. We must keep learning. That's why I'm also thankful for the many people God has given to his church who think about things I would never think about on my own. They are a grace to me. On Guard: Preventing and Responding to Child Abuse at Church by Deepak Reju. I've already mentioned Deepak's book several times. The appendices at the back are worth the price of the book. Deepak provides great instruction on how to write a child protection policy, the signs of child-on-child sexual abuse, how to talk to your kids about abuse, a sample screening application, and training resources for staff and volunteers. Better Safe Than Sued: Keeping Your Students and Ministry Alive by Jack Crabtree. This is the most helpful resource I've seen for developing policies for your student ministry. The book includes a CD with sample forms and policies for vehicle usage, approved drivers, accident/injury reports, health information, parent information / medical release, code of conduct, and photography / video release. It also includes safety information sheets for all kinds of youth activities (swimming, canoeing, boating, water skiing, skiing, etc.). Protecting Children from Abuse in the Church by Basyle Tchividjian. Boz walks through the essentials for protecting kids from abuse at church. Read this first then pick up Deepak's book and work through it. 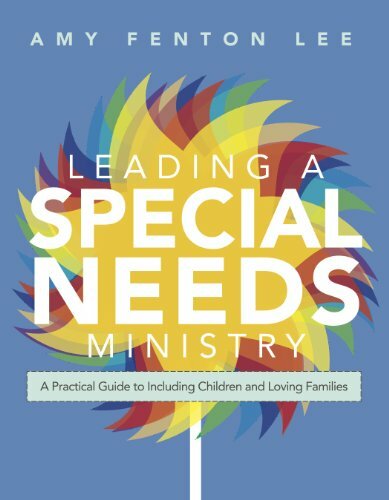 Leading a Special Needs Ministry: A Practical Guide to Including Children and Loving Families by Amy Fenton Lee. Amy's book is an invaluable resource when considering how to structure a ministry to children with special needs that is both welcoming and considers safety and security. Resources for Children and Youth Safety from GuideOne Insurance. Are there other resources out there that I've missed? What authors or articles have been a grace to you? Previously, I've posted Three Reasons to Use a Training Checklist as well as Seven Essential Policies for Children's Ministry along with a free checklist for policies and procedures. Today, I want to keep moving forward on the same theme by reviewing a training checklist for protecting children from abuse and neglect. At Sojourn where I lead, we use several different checklists. This is one of the most important, because there is nothing more important (and yet nothing more scary) for a children's ministry volunteer than reporting suspected abuse. We put our Child Abuse and Neglect Training Checklist together several years ago with help from social workers in our congregation and great information I heard from Deepak Reju's presentation at the 2009 Children's Desiring God conference. Deepak has since updated checklist and made it even better! 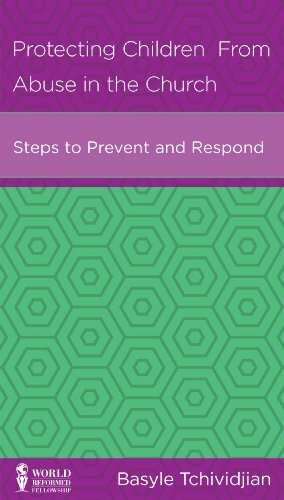 It appears as one of the many really helpful appendices in his new book, On Guard: Preventing and Responding to Child Abuse at Church. It's appendix E (I love appendices)! How is child abuse defined? "Wouldn't I know a child abuser if I saw one?" How can I best minister to a child who has been abused or neglected? What happens if a child touches me inappropriately? What do I do if I suspect that a child has been physically, emotionally, or sexually abused? Who is required to report child abuse and neglect? How do I know if something is reportable or not? I hope this checklist is helpful for you. If you think so, please leave a note of thanks for Deepak below.